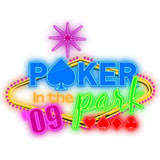 Europe’s largest free poker festival, Poker in the Park, will return to the middle of Leicester Square Park this summer. The third incarnation of consumer poker fair will take place on Thursday & Friday, August 13th and 14th. This year promises to be even bigger and better than last year, with plenty of free live poker tournaments on offer, as well as live lectures and autograph signings from big name pros, plus all manner of discounted poker merchandise on sale. Last year 10,000 people swarmed into the marquees in Leicester Square to play poker for free and listen to talks from the pros, including Devilfish, Neil Channing, Ian Frazer, Marc Goodwin, Paul Jackson and Nik Persaud. This year promises more big name players and exhibitions from some of the most exciting brands in the online poker industry.